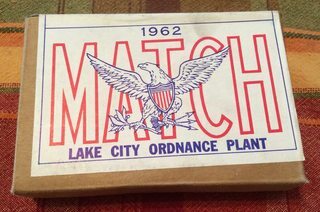 1962 Match 20rd box value? 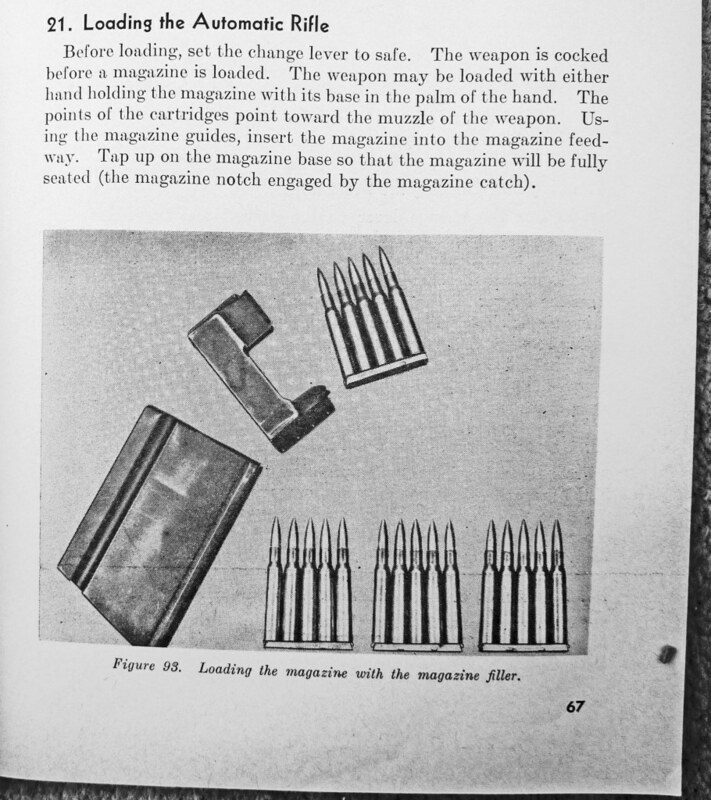 I shoot up my ammo and I have plenty of 30'06. Is this more for collectors? 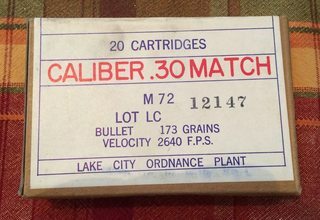 I will be reloading at some point, is this brass better than HXP or regular LC? 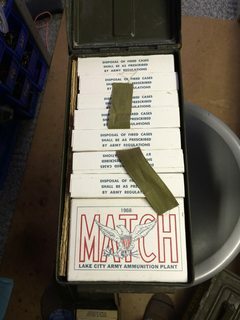 What is the resale value per box? 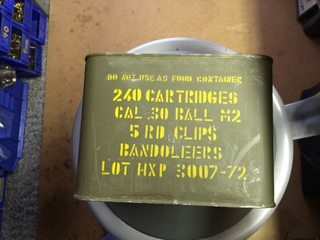 For 320 rds in generic ammo can? 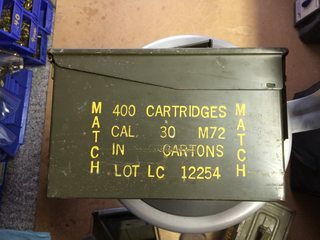 Does a full correct ammo can add to the value? Whats the value of this per round in unopened spam can? That’s what I figure. 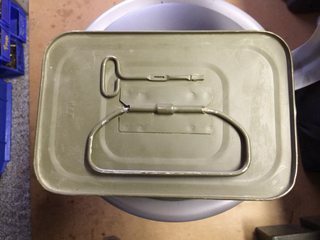 I have a full can with the ribbon, and paid about a dollar a round. From what I have seen, surplus 30.06 is going for around .70 per round... clipped spam cans might go for a bit more. 31- 100% ITrader feedback prior to removal. I love the smell of MRT in the morning - it reminds me of . . . wet canvas." I'm what you'd call a legend in my own mind. 2071 posts on the old forum - not that I'm counting . . .